Limited services are currently being offered as I work to build a workroom to offer residential drapery and small upholstery in Knoxville, TN. Drapery and upholstery services are not currently available. Please contact me if you are interested in the services listed below to save your spot on the schedule! 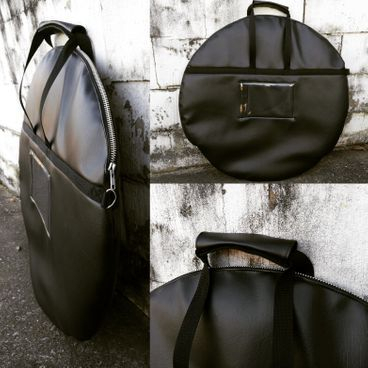 Made for the giggin' drummer. 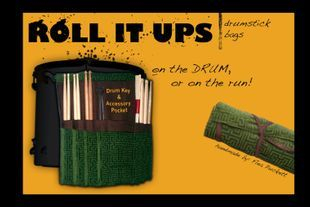 Holds 8 sets of sticks plus has a center pocket for your drum key and shakers. 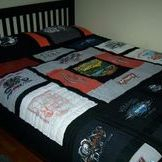 Turn your old, tattered, or rarely worn tshirts into a one of a kind durable quilt. Specializing in abstract patchwork. 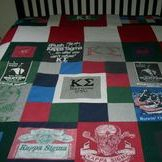 Perfect for shirts from races, concerts, sports, fraternities/sororities, baby clothes & clothing to remember loved ones. Contact Flea to reserve your spot. Offering private sewing and quilting lessons in 2hr increments for $150. 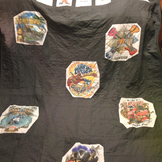 Learn to use your machine to its fullest potential, or work on your free motion quilting skills! Offering consultation services and prototype development services to local businesses. Call to set up a 2 hour consultation meeting for $150 to get advice on fabrics, workroom procedures and more. prototype development services include fabric acquisition, completed sample, and written instructions to reproduce the product. 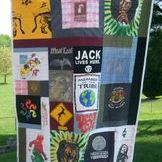 Wedding and Baby Shower Guest Book Heirloom Quilts. Blocks are cut and markers supplied before the event. Have guests sign blocks with fabric markers. 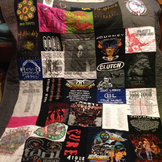 Flea will heat set the markings and create a quilt that provides a lifetime of memories. Price depends on size and intricacy. 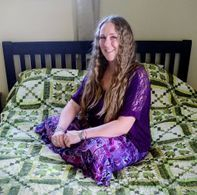 Queen size Wedding Quilts shown are $1200. 1. Have an idea of what you want completed. 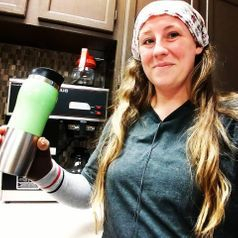 Including size and colors. 2. Contact Flea (using the forms below or at [email protected]) to inquire about your project. If there is a picture of something similar to what you have in mind, be sure to send that too. 3. 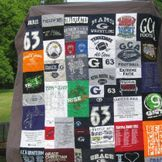 If you decide to move forward on the project, you will be asked to pay a Supply Deposit on your quilt. You will be asked to approve a final design before the project is started. You will receive weekly updates and "teaser" pics during the completion. 4. The final amount must be paid to receive the finished project. If shipping is required, you will receive detailed pictures along with a request for final payment. Items will not be shipped until payment is received. Your inquiry has been sent and you can expect a reply within 48 hours. Thank you for considering me for your sewing needs!